these can raise big concerns within a parent. asked questions related to Autism. role in helping with the child’s behavioural outcome. Autism statistics from the U.S. Centers for Disease Control and Prevention (CDC) identify around 1 in 68 American children as on the autism spectrum–a ten-fold increase in prevalence in 40 years. Careful research shows that this increase is only partly explained by improved diagnosis and awareness. Studies also show that autism is four to five times more common among boys than girls. An estimated 1 out of 42 boys and 1 in 189 girls are diagnosed with autism in the United States. Not long ago, the answer to this question would have been “we have no idea.” Research is now delivering the answers. 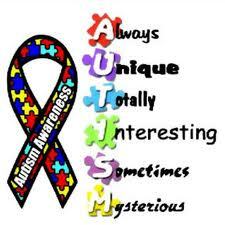 First and foremost, we now know that there is no one cause of autism just as there is no one type of autism. Over the last five years, scientists have identified a number of rare gene changes, or mutations, associated with autism. A small number of these are sufficient to cause autism by themselves. Most cases of autism, however, appear to be caused by a combination of autism risk genes and environmental factors influencing early brain development. In the presence of a genetic predisposition to autism, a number of nongenetic, or “environmental,” stresses appear to further increase a child’s risk. The clearest evidence of these autism risk factors involves events before and during birth. They include advanced parental age at time of conception (both mom and dad), maternal illness during pregnancy and certain difficulties during birth, particularly those involving periods of oxygen deprivation to the baby’s brain. It is important to keep in mind that these factors, by themselves, do not cause autism. Rather, in combination with genetic risk factors, they appear to modestly increase risk. Each individual with autism is unique. Many of those on the autism spectrum have exceptional abilities in visual skills, music and academic skills. About 40 percent have average to above average intellectual abilities. Indeed, many persons on the spectrum take deserved pride in their distinctive abilities and “atypical” ways of viewing the world. Others with autism have significant disability and are unable to live independently. About one third of people with ASD are nonverbal but can learn to communicate using other means. Autism Speaks’ mission is to improve the lives of all those on the autism spectrum. For some, this means the development and delivery of more effective treatments that can address significant challenges in communication and physical health. For others, it means increasing acceptance, respect and support. grandparents of a child with autism.